This January and February has been a productive couple of months. After the almost constant rain before and over Christmas and New Year, the second half of January and much of February has been dominated by colder and dryer (and sunnier) conditions. Railway-wise the diversion of the Caledonian Sleeper into King's Cross, courtesy of the Lamington wash out, brought an unexpected bonus of 86401 and 87002 working the sleeper ecs from King's Cross to Hornsey. 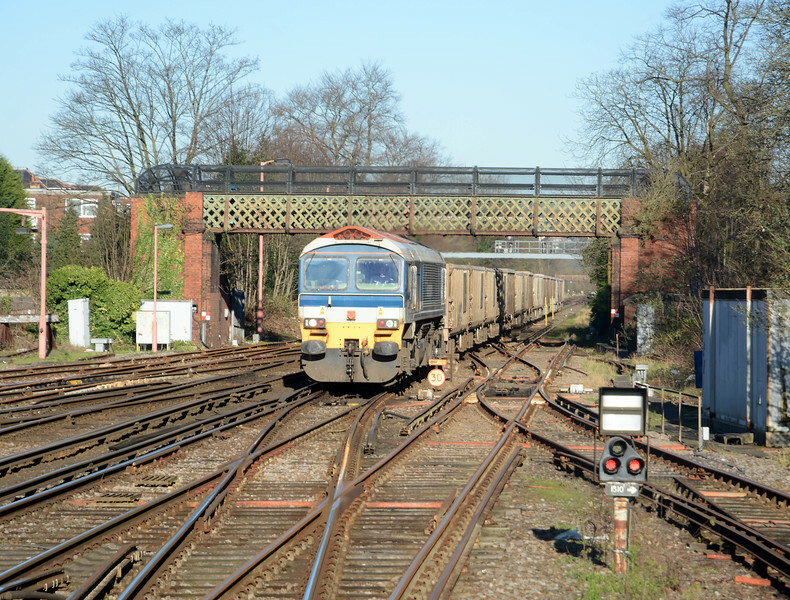 To add to the mix there was a further diversion in London following damage caused to the Camden Road - Primrose Hill line, which resulted in all trains routed from Camden to Willesden and vv via the North London Line through Gospel Oak. That only lasted a couple of weeks but it was modestly diverting whilst it did. At work I managed a few pictures of the ongoing tests of the new GatEx 387/2s, the first daylight outings of the new Siemens 700s and the GBRf operated de-icing train with pairs of 73s topping and tailing. We had a long weekend in Edinburgh over the latter half term weekend, I caught a couple of trains I don't get to see normally, including the threatened alumina tanks from North Blyth to Fort William, and took my first ride outside Blackpool, on a tram in the UK. The last Saturday of the month was spent with a friend in the fenland between Ely and Peterborough, shooting the regular and diverted intermodal services, the latter courtesy of engineering work on the GEML, we totaled 15 trains in six and a half hours! 59104 running under clear signals some six minutes late on the 7O69 Acton Yard to Crawley, another load of stone for Days Aggregates.